Welcome back to the podcast. Saul Marquez here and it’s a privilege to have our guest today. His name is Steven… Dr. Steven Pantilat. 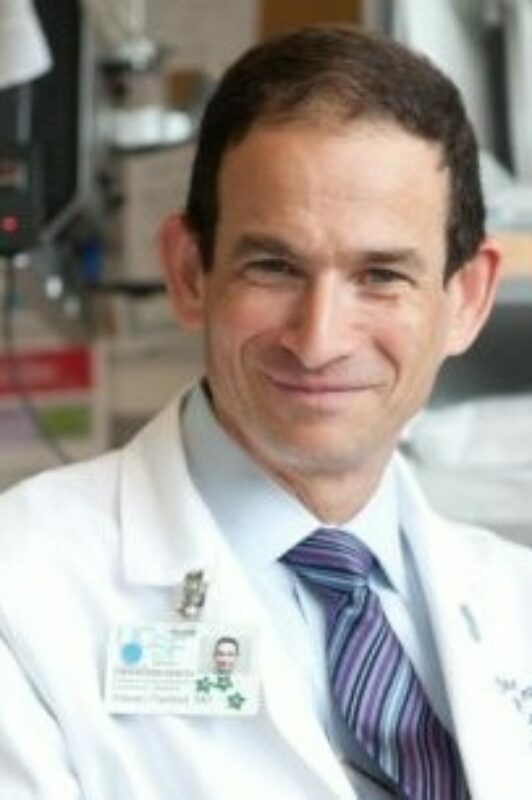 He’s the Kates Bernard and Hellman Distinguished Professor of Palliative Care in the Department of Medicine at the UCSF. He is an outstanding contributor in this space. I had the privilege of hearing his work on the TED MED stage a couple months ago. As you all know I was there and had the privilege of hearing him. He’s received the Circle of Life Award from the American Hospital Association for innovation and excellence. He’s also the Director of the UCSF Palliative Care Leadership Center that trains teams from hospitals across the country and how to establish palliative care services. Many of us may think hey this is a given but actually it’s not. And Dr. Pantilat is really doing a distinguished job in elevating the care that people get when it is time for end of life. And so on SSN and internal medicine from the University of California school medicine. His expertise has been nationally and internationally recognized as a thought leader in palliative medicine so it’s a true privilege to have him on the podcast. Steve welcome. Thanks a lot Saul, really a pleasure to be with you. Hey it’s my privilege and and we’re lucky to have you on and so I love to hear from you Steve. What is it that got you to the healthcare sector to begin with? Well as a physician what really brought me to healthcare was you know interest in people, interest in kind of how to use humanity and blend that with science. I think that’s a common way that people sort of come to the healthcare field. But you know my thought was to be a doctor and to take care of patients and it’s really once… once I became a doctor and that my interest really moved towards palliative care and towards the care of people with serious illness and how we could make that care better and to recognizing that if we were really going to do that I wanted to not only take care of patients but also wanted to transform the whole healthcare system to provide better care for people with serious illness. From you Steve. What do you think you know around palliative care and caring for patients is a hot topic that needs to be on every health leaders agenda today and how are you and your team at UCSF tackling it? So first I want to say I totally agree. I think when we look at the healthcare system and we think about the growing number of people with serious illness you know heart failure, cancer, neurologic diseases like Parkinson’s and dementia the fact that we’re living longer but going to live longer with serious illness, understanding how to provide high quality care to people with serious illness is going to be essential. One for providing good healthcare and two, for being able to deal with the finances of healthcare. So really when we think about value and we have to be thinking about the people who are sickest and how we’re going to provide care that really aligns with what’s important to them, what are their values what are their goals. I’m very often in that setting it’s not coming to the hospital and it may or may not be receiving a lot more intervention than it may be care that really allows them to be at home, to focus on their symptoms and other goals and values that they… that are more important to them. So really thinking about that challenge and how do we design systems to do that. If you look at the world the way it is now I think the good news when you look back compared to a decade ago is how many more palliative care services there are and recognizing that there’s an increasing evidence base for the role of palliative care and increasing the quality of care for people with serious illness. So when you look at the data and you look back over the last decade or two even there’s so many more palliative care services, so many more people receiving palliative care. And yet the reality is that it’s still pretty much a random event whether you get palliative care or not. So even in our own system I could have two patients in the clinic, two patients in the ICU with identical problems. One is getting palliative care from our specialty palliative care team and the other is not and has very little to do with the patient and everything to do with how the doctor or nurse thinks about whether this patient is right and whether the doctor and nurse are comfortable talking about palliative care and introducing it and making the referral. And that’s not a system of care that’s a random event and if we’re really going to change care first thing we need to do is make palliative care routine and in order to do that we have to be screening people to understand what their needs are. Do they have pain? Do they have shortness of breath? Do they have anxiety? What are the caregiver needs that they have? Do they have the help that they need at home? Do they have an advanced directive? Are there decisions coming up that they will be facing and that is important to address in advance? So the first step that we’re beginning to implement here at UCSF is really trying to understand how do we screen large populations of patients using information from our electronic health record and other information that we could gather from patients to really understand what those needs are. So that’s a first step. And then once you know what their needs are then we can design systems to really address those needs recognizing that it’s not all gonna be specialty palliative care just like not every patient with heart failure is going to need to see a heart failure specialty cardiologist for example and not every patient with diabetes needs to see an endocrinologist but if you don’t know who has diabetes in your system, it’s going to be very hard to improve care for that group of patients with diabetes if you don’t even know who has it. If you don’t know which patients have elevated blood sugar as an elevated hemoglobin a1 these will be very hard to treat the population. Sure you’ll be able to deal with the people who come to you and say “I think I have diabetes” or who have the symptoms but you won’t be able to deal with the population and the same thing is true when we talk about serious illness and how we take care of that very large and growing group of people who have serious. That’s a really insightful Steve and you definitely are unique you know in your approach and I’m glad that you’ve started to expand on teaching this way of caring for folks starting with those needs. We oftentimes do ignore those and I love that that’s at the center of how you conduct your program. Yeah thanks. I think it also really speaks to I think one of the misperceptions about palliative care. I think the misperception is that people think it’s about end of life. And while certainly a specialty palliative care team you know the nurse, doctor, social worker, chaplain, have expertise in caring for people at the very end of life and helping their family members. Palliative care is so much more than that. I always think of it is that the focus of palliative care is improving quality of life for people with serious illness. And what I tell my patients is you know our goal is to help you live as well as possible for as long as possible. You know just last week I was talking to one of my patients who’s a gentleman in his 50’s with a brain tumor which unfortunately is progressing and you know we had a question about whether to take more of his chemotherapy and you know we had a conversation about what the side effects were and what the potential benefits were. And he’s gonna get he decided that he wanted to get it and you know we were supportive our social worker arranged for transportation so he could come to the infusion center where you know our goal is to help him live well and to live long and if that’s consistent if coming and getting this chemotherapy and he’s had it before. So if it’s a decision he can make you know the side effect profile was acceptable to me and I realize there’s only a very small chance it will help but it’s something that’s important to me and that I want to do. We can address that at the same time that we’re talking about the hospice referral and getting the hospital bed into the home to make it easier for him to get in and out of bed and being able to pursue both of those tracks simultaneously. Think is is the only way to take care of people so that they’re not forced to make this false choice between focusing on their comfort and their values and pursuing treatment for real. You’re so focused on well span. Well it’s also recognizing it even in the face of serious illness people can still experience joy and gratitude and on have very positive experiences even when they’re dealing with devastating serious illness someone is really know when you take a step back an incredibly tragic situation and there’s a lot of sadness that it’s not to discount that that’s very real and really important but to also recognize that if we focus on quality and talk about what’s important to people what they hope for, what matters to them, we can help people achieve those things that are most important to them even in the face of serious illness and that the healthcare system has an important role to play in that and how we take care of people and how we facilitate that for them making sure that they’re not in pain that they’re not short of breath that they have the equipment and the support that they need to be able to do these things that are important to them and to help guide them. You know how do I talk to my children about this? How do I talk to my grandchildren about this? How do I pursue these things that are really important? Sharing things like prognosis so that someone knows “hey if you want to see your daughter get married and that’s going to be ten months from now” I’m worried about that. I think we have to be honest and have the courage to be honest with patients to make sure that they are able to achieve that the things that are most important to them. Steve you shared that story when we were at TED MED during your talk. I would love if you could share that with the listeners. Sure. So a woman that we took care of in the ICU Mary she was a 72 year old woman with interstitial lung disease which is this chronic scarring of the lungs that is incurable and usually within a few years leads inevitably to a shortness of breath and death. So it’s a serious disease and there’s no cure for it. She was admitted to our intensive care unit with pneumonia from which she was not going to get better unfortunately and she needed such high levels of oxygen that we couldn’t provided it anywhere other than the ICU. One morning on rounds when we sort of we’re talking about her care and I said you know we should go in and ask her about what she hopes for. And I remember the ICU doctor looking at me and saying “you know Steve what are you talking about? You know there is no hope. I mean have you seen her?” And I said “well you know still.” So he went and I said “you know Mary when you look to the future what do you hope will happen?” And she said “well I really hope to see my daughter get married.” And we said you know that that sounds really important. Tell us about that and Mary said well you know our eyes lit up. She’s like well it’s in 10 months in the Napa Valley and she went on to talk about it and said well that’s really important. So later that day we we talked with her and her daughter because I realized right away you know she’s not going to make 10 months. I mean I just don’t see that and I don’t see any way she’s going to get out of the ICU. So that’s not going to happen. We talked about it with her daughter and with her and her daughter said “well that’s really important to me too. I’ll just get married right here in the ICU” and sure enough you know three days later her daughter comes in in this beautiful white wedding gown and her fiance they had on his tuxedo and they put a corsage on Mary’s hospital gown and our palliative care chaplain officiated and they had all their family and friends and the nurses and doctors and respiratory therapist you know all crowded around the bed, not a dry eye in the ICU. You know Mary got this thing that was most important to her. She got to achieve that because we only did we asked but we were able to be honest when she told us we were able to be honest and say you know I’m worried that that might not happen and if that’s important we need to do that now. So beautiful. I remember in the story and I mean still you know I’m just so touched by it and what it means to Mary, to her daughter, to the whole family, and even the care team. I mean I’m sure they the care team was transformed by the experience. Yeah yeah. And it takes what you know people thought was a hopeless situation right. There is no hope here. And not only did we ask about it and understand it, in fact there was hope but we were able to address the thing that Mary most hoped for and to recognize that there are so many hopes that are beyond cure. You know she may have also been hoping for a cure. And we could have talked about whether that was possible because unfortunately it was not. But there’s so much more that’s important to people and that there’s an important role for healthcare systems to be able to address those things. And if you look at our healthcare system now it really is focused on intervention, undoing more things, and those things are important. Very often they’re incredibly helpful and I think every day we have more to offer our patients that are in fact very helpful and useful. And yet the reality remains that ultimately we’re all going to die. And how are we going to live with that period of illness even while we’re pursuing cure even while we’re undergoing treatments for our illness that may help us also live longer and better. What else can we do? And if we don’t know who those people are we won’t be able to address their issues. And if you look at healthcare today it is very much intervention focused. The care is very sort of medically based and yet what we know is that people they’re human beings they’re people with all sorts of concerns that go beyond their medical needs know their social needs or psychological spiritual needs and they want to be able to talk about those issues with their healthcare providers as well. And that’s where palliative care plays an important role not just in providing that care. But when I talk about transforming the healthcare system what I mean is that these principles of palliative care that focus on the whole person that address all aspects of care the spiritual and the psychological and the emotional in addition to the medical that we provide care in order to provide that care that we provide care as a team working together doctors and nurses and social workers and chaplains and pharmacists to really bring a holistic approach to patients and we can we should be doing that in all aspects of care not just in palliative care because we know that patients can benefit from that. That’s beautiful yeah. It’s such a great thing that you’re doing. Steve you didn’t always have the philosophy, the formula, the concepts put together like you did right now. I’d love to hear from you maybe a time when you had a setback and you learn from it and it taught you something that really made a difference today. Yeah well you know it’s interesting. Very early on and so we’re about to celebrate 20 years of our palliative care service here at UCSF which we launched in 1999 in March so we’re about to hit our 20th anniversary but after doing this for a couple of years, we it already became clear to us that there’s a lot of people out there who need palliative care who are not getting it and how are we going to do that? And one idea we had was gosh you know there’s a lot of people in our intensive care unit who are really sick. So how are we going to take care of them? We thought “you know how about this? How about if someone’s been intubated for a long time on a ventilator for a long time, they probably need palliative care even if they’re going to get better.” It’s really stressful to the patient and to their family. There’s a lot of decisions that need to be made and so we picked randomly just pick this time that we thought was really long 10 days. We sort of agreed if you’d been in the ICU on a ventilator for 10 days then the palliative care team will kind of go by and review the chart and talk with the patient and family just to see how we might be helpful. That’s a long time and that’s not great news and we vetted it with all the nurses in the ICU and all the ICU doctors and spent a lot of time thinking about the protocol and the respiratory therapist. At great we’re on board. So it was I believe third or fourth patient who was on the vascular surgery service and I went to the bedside and that’s when we still have paper charts. So I was looking through the paper chart at the bedside and after I reviewed it I thought ah there’s a patient who can benefit from some palliative care. I called the surgeon and the surgeon just about lost it got really upset. What are you doing at the bedside? I didn’t call you there and said well you know we have this program that we developed with the ICU and we better go. Well nobody vetted it with me. You know I definitely don’t want you to see my patient. No problem I have not seen your patient and I won’t see your patient. Not a problem I do think we can be helpful but that’s okay. And he went ahead and wrote and sent the email that you’re supposed to write but not send. Just leave it in your drafts folder but that included a line that said what would the public think if they knew that UCSF had a program of planned euthanasia? Cool your jets, palliative care is the best thing we’ve done for patients UCSF in a long time.”. And you know what looked like the end of our service really got us a lot of support. Now that program I will say ended that screening program ended and it’s taken us you know about 18 years to get back to it. So it was a serious setback to our program we learned a lot about getting by in going really where we’re invited and taking care of the patients as they’re you know making the case but really waiting for clinicians to come on board and what we’ve seen is that approach has really worked extremely well and services that weren’t consulting us very much in the past are now really asking for our engagement and involvement in the services ground tremendously I think back then we were seeing about 200 patients a year and this year we’ve seen over a thousand. Patients just in the hospital. And then we also have outpatient and home based palliative care. So part of the lesson was make sure that you’ve got buy in from lots of folks. The other lesson was even in the darkest moment good things can still happen and that over time if you do a good job if you really do a good job and do the work that you say, your service well people will appreciate that. And you know in a big way kudos to you. I mean you hang in there were 18 years and you stayed consistent. So I have tremendous admiration and respect for your commitment and listeners if you’re going to learn anything from anybody in palliative care, It’s Dr. Steve Pantilan so one to hit rewind many times on here. So how about the other side of that coin Steve, can you talk to us about an experience that you’re most proud of? Wow. Well it would be starting the palliative care service in the beginning. You know there was a group of us who looked at the State of the world and just said “this is not okay” the way we’re taking care of seriously ill people and really people who are at the end of life. And I think when we started there was nothing. When I went to medical school at UCSF I trained here as a resident I was a chief resident there. Never heard the word palliative care. There was no palliative care here at all. Not discussed. It really wasn’t till I joined the faculty that I even learned about it and began to engage with it. So it was back in about 1998 I had a faculty development award from the project on death in America and talk about a great name for a project. The project on death in America to really train doctors and nurses how to do this work and how to improve care and I was fortunate to get and it was during that time that I had some time to really think about and so a group of got together here at UCSF to know the way we’re taking care of people at the end of life is really not great. It’s really kind of lousy and how can we make that better. And really that was our focus and that’s how we started and in year one, 80% of the people we saw died in the hospital. So we were seeing people really at the very end of life. I mean coming in and realize you know there’s a lot that we can do to make their experience and the experience of their loved ones better to manage their pain more expertly and their shortness of breath to really give people information about what to expect and to give them realistic choices about the care that they can receive and to really attend to all those issues, the social issues spiritual issues, and to really take kind of a real holistic view you know we developed a policy so you could have animals of a certain size you know one person wanted to bring their pony and we’re like yeah ponies no but the dogs yes. Right. So there are limits but nonetheless really just recognizing what is really important to people at that time of life. Interestingly we even developed a couple of rooms that we designed just to be a little bit more home like you know a little bit nicer where the medical equipment was hidden behind the cabinet. So if you don’t need it you don’t need to see it, foldout couches just a little bit nicer to really recognize that you know if a family’s going to keep a vigil. Can we make a nicer environment for them and interestingly the place they were in the hospital the exact location on the 14th floor was one floor below on the 15th floor of the birthing suite. Same part of the hospital same attempt to try and make things a little more homelike a little less medicalized if you didn’t need it. And we thought “What a beautiful statement that we provide the same attention to the beginning and the end of life.”. As bookends and starting that service when nobody asked for it nobody said we needed it. Nobody said go out and do this. But just recognizing that there was a need and then seeing over time how that has really grown to a large program as I said in every setting home how patient we do a lot of telemedicine now which is really important for our patients who not only come to UCSF from far away but who are often too sick to come in and really using the technology of telemedicine to take good care of patients and expand the work we’re doing and recognizing over time that sure there’s an important roles in caring for people who are at the very end of life. But wow if you’re really going to improve care we have to really be starting with people with serious illness. So great. Steve and congratulations on getting it started. I bring up this point like there’s a book that I enjoy it’s called the Go Giver and stop trying to be a go getter and be a go giver. And Steve you’re the quintessential go giver my friend. You’ve done it from the beginning and now you’re just benefiting so many people the ripple effect is amazing so thank you for all you do. Really appreciate. Thanks. Yeah. We have a great team. You know I mean I think one of the things you’re really blessed with is the team that we have that really helps to provide this care and recognizing that it’s really resonates with a lot of people I mean we have over 550 nurses trained in palliative care here at UCSF Susan Barber the nurse on our palliative care team has led the training of over 550 nurse because if we’re really going to make a difference it can’t just be the work of the palliative care team. It really depends on everyone, every clinician here and everywhere having the basic skill set and how to talk to people about their wishes, how to treat symptoms like pain and shortness of breath, how to provide the basics of emotional and support to patients and families. And we see that is such an important part of what we do now. Yeah that’s huge. So Steve getting to the end of the interview here man and I looked up at the clock and I’m like wow, it’s kinda fast. I have a brief lightning round that I want to do with you. It’s how we create a little syllabus for the listeners. That’s five questions. Lightning round style followed by a book you recommend to the listeners and then we’ll close off with a closing thought by you as I call it. All right. What’s the best way to improve healthcare outcomes? Understand what’s most important to patients and give them that. Make a patient focused. Thinking that we have all the answers and not asking patients and families. How do you stay relevant as an organization despite constant change? Understanding who who it is that we’re serving and what matters to them and as long as we are relevant to them. In this case patients and families and we can be relevant to them and provide them with the care that they want, they will continue to come to get their care here. Beautiful. What’s one area of focus that drives everything in your organization? Taking good care of the patient and family. And finally what’s your number one success habit? I love it. Steve what book would you recommend to the listeners? Beautifully written and heartbreaking but really just luminous book. The expert Paul was a neurosurgeon who died of lung cancer and in the last period of his life wrote this memoir. So he’s a physician and now also someone who is dying of lung cancer. And it’s not only beautiful writing but it’s incredibly insightful being able to see the world from both sides both as a clinician as well as a patient. And it’s beautiful it’s a lovely read it’s filled with insights not just about healthcare but really just insights about living and what’s important. One quote that I love from the book is until we die we’re alive and that’s something that I think a lot about. Until you die you are alive and it has so much meaning in so many different ways both for how we as individuals live our lives and also how family members perceive their loved one and and how important that is and what a tremendous chasm that is between those two and the importance of really living and living well. Saul can I recommend one other book? The kind of shameless promotion part but if people who are listening have a loved one who has a serious illness and they’re looking for guidance. I wrote a book to address that called Life After the Diagnosis and the idea there was to really provide guidance to people who are sick and to their loved ones. Everything from you’ve gotten a bad diagnosis, now what you know how do you find the right doctor? How do you make the right decisions? How do you talk about your wishes and preferences? All the way through explaining what palliative care is about and even what to expect at the very end of life. And it’s simply written guide for people in that situation. You know Steve there’s not enough guides out there and especially when you get to that point and so listeners if you or anybody that you know is sort of at that point by all means check out that book because I mean you heard the interview today. There’s anybody that could give you some good pointers and you walk away with something, a little nugget that’ll help you or your family. I think it’s totally worth it. We’ll put a link to the book and show notes for sure Steve. Thanks for mentioning that I’m glad you know this how selfless you are Steve, you didn’t even think about your own..
Can I recommend one more thing for your listeners? If they’re interested. So the other thing they may be interested in again if they want to kind of delve into this topic more the film End Game which is a Netflix original documentary which is shortlisted for the Academy Awards at the short documentary came out in 2018 was filmed here at UCSF and at the Zen Hospice Project here in San Francisco, a 40 minute documentary about palliative care following our palliative care team following one of our faculty B.J. Miller as he sees folks in the outpatient clinic and also at the Zen Hospice Project. It is also a beautiful… it’s a beautiful film. They are directors or Academy Award winning documentary filmmakers Robert and Jeffrey Friedman. Are you in it too? I am yeah I am, our whole care team is in it and I’m in it. I have to watch it now and we had Shoshana. Bring Kleenex. That’s all I can say. Yeah oh yeah Shoshana is the producer. So you know and she mentioned it I haven’t watched it now and so it’s on my must watch list. Listeners, definitely one you got to check out and there’s a lot of homework for you here but I think the main ones are Steve’s book and the End Game. Love this Steve wonderful resources. Anything else you think of? We’re open man. Well your summer of info you say useful information. So what else do you have for us? Well I guess the last thing I would say is again for folks who work in healthcare, if yours healthcare system does not offer palliative care services in all settings you should definitely. That’s a must to make sure that patients have access to that kind of care. So I think that’s a must to train up all the folks at your institution to have the basic ability to provide palliative care to patients is really important as well. So that’s the other guide I would or suggestion I would make. Love it. So Steve we’re here at the end. Just leave us with a closing thought and then the best place where the listeners could follow you or get in touch with you or whatever you feel is best. What I would leave folks with is ultimately this is about how we live our lives. And I think what’s most important about the work that we do and what’s most important about palliative care and really healthcare more broadly is how we can help people live well and serious illness is a tremendous challenge to that to us as human beings and how we respond to that for our patients and their families matters tremendously to approach it with honesty and courage, to encourage hope and yet with a dose of reality, to help people really live as well as possible and to recognize that that means not just medical care but it means really attention to them as human beings. And that’s not only good for our patients and their families but it is good for all of us who work in healthcare. And that’s why we came to this. That’s why we have the healthcare system and it’s not only in gratifying it’s an antidote to burnout and it is the way that we create the system that we want to be cared, the way we want to be cared for. If people want to reach me probably the best is through my Twitter handle @stevepantilat is a great way to do it. Also through my website www.lifeafterthediagnosis.com and you can reach me there and send an email. Love that Steve. Well folks there you have it. The amazing Dr. Steve Pantilat. I just want to say thanks again Steve for spending your calls. Thanks a lot thanks for listening to the Outcomes Rocket podcast. Be sure to visit us on the web at www.outcomesrocket.com for the show notes, resources, inspiration, and so much more. Sonix quickly and accurately transcribed the audio file, “Giving Palliative Care a New Meaning with Steven Pantilat, Chief, Division of Palliative Medicine at UCSF”, using cutting-edge AI. Get a near-perfect transcript in minutes, not hours or days when you use Sonix, the industry’s fastest audio-to-text converter. Signing up for a free trial is easy. For audio files (such as “Giving Palliative Care a New Meaning with Steven Pantilat, Chief, Division of Palliative Medicine at UCSF”), thousands of researchers and podcasters use Sonix as a simple software solution to transcribe, edit, and publish their audio files. Easily convert your mp3 file to text or docx to make your media content more accessible to listeners.